I think whichever monkey at Group 8 edited episode 11 was sacked, because episode 12 of Playful Kiss (Mischievous Kiss) saw the return of the normal rhythm of the series. This was an episode heavy on the dialogue, almost every scene was exposition-laden. Which makes this episode light on the laughs, but heavy on the weight of the impending big hammer of doom, aka the ending which introduces the final big plot-driven event of the series. I can feel the emotions intensifying, the lightness of the drama taking its natural turn into more serious territory. We’ve been angling for some meat with all the appetizers, and it’s finally here. The plot developments in this episode were much more smooth and logical than last episode’s rather all-over-the-place random fun. 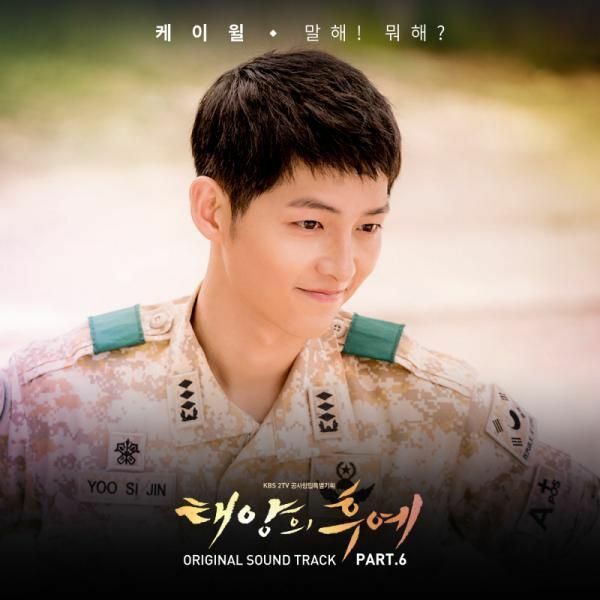 It’s also time Seung Jo stepped up and put himself out there – to sacrifice and to hurt. How can you learn what love is if you’ve never been hurt before? The title of this episode is: When a decision is made, a challenge is sure to follow. Seung Jo is leaving the house in the morning when Mom tries to get him to spend another night at home since there is no school tomorrow. He declines, and she rather pleadingly takes her entreaty one step further and asks him to consider moving back home. Mom understands Seung Jo’s need to establish independence and pursue his dreams. But what about HER dreams – of a family unit spending time together. Mom also lays into Seung Jo’s attitude towards Ha Ni. Because he’s so cold to her, it’s bound to make her misunderstand that his moving out is because of her. Seung Jo should be nicer to Ha Ni. Seung Jo tells Mom again that he does not want to be influenced by his parents’ decisions and desires. Didn’t Ha Ni move back in without consulting his opinion as well? Seung Jo tells Mom to continue to do what she wants, with the implication that he, too, will continue to do what he wants. That was a very realistic conversation between a concerned mom and an on-the-cusp-of-adulthood young man. Mom feels down and mopes on the sofa. Seung Jo’s dad comes by and tells her to cut their son a bit of slack. Mom responds that she understands why he wants to seek independence and find his way. Yet Seung Jo hasn’t changed one bit since he moved out. Worse yet, he continues to treat Ha Ni in a cold and indifferent way. Seung Jo’s dad says that shouldn’t Mom be more worried about whether Seung Jo is eating well by himself, leading Mom to note that indeed he looks skinnier and more tired. The parents wonder if once Seung Jo makes a decision, he will consult with them first. Ha Ni is enjoying a meal with her friends at her Dad’s restaurant. Her beauty salon friend grimaces over developing callous on her hands from the constant washing of her clients’ hair. But she is still happier now than when she was in school and needed to study. Ha Ni’s art major friend has gotten a part-time graphics designer job and is also quite content with her professional development. Ha Ni’s dad prepares special nutritious noodles for the girls to help them with their studies and jobs. Ha Ni wonders why she hasn’t seen Joon Gu around, and is told that Joon Gu has become obsessed with learning to cook and is even now at the supermarket personally selecting ingredients. The friends note that this newly-focused Joon Gu is quite a change from his high school days. The girls discuss receiving a notice for an upcoming high school reunion, which requests that everyone wear their high school uniforms. Seung Jo and Ha Ni see each other at school, and Ha Ni happily asks if Seung Jo receive the notice about the reunion. Seung Jo coldly remarks that the idea to wear their student uniforms is utterly juvenile and he’s not interested in the reunion at all. When Ha Ni excitedly wonders what everyone has been up to, Seung Jo tells her to spend that attention on herself instead, and walks away. Ha Ni is helping Mom iron and discussing, what else, Seung Jo. Mom reminisces about her high school years and a boy she met there, which is of course Seung Jo’s dad. Ha Ni’s favorite memory of Seung Jo is when he gave their commencement speech. Mom says she has a great idea for getting Seung Jo to the reunion. Ha Ni takes a walk down memory lane and puts on her high school uniform, and finds a leaf carefully preserved in a plastic wrapper. It’s the leaf that fell on her day dream Seung Jo from the unicorn fantasy. She wears her high school uniform and arrives at the reunion late, telling her friends that Mom told her to leave her cell phone at home because she has a plan. Her best friends point out that Seung Jo is sitting all by himself in the corner, not wearing his high school uniform. When Ha Ni approaches Seung Jo, he asks her why she didn’t bring her cell phone. He then hands Ha Ni the keys to the house, which Mom had instructed him to give to her because she took a last-minute trip to Busan. Ha Ni thanks Seung Jo for bringing her the key, otherwise she won’t be able to go home tonight. Seung Jo gives a sigh and gets up to leave, Ha Ni’s entreaties for him to stay having no success. However, he’s cornered by a few of his smarty pants friends, who all go to Tae San University (the top university that Seung Jo decided not to attend). They lament Seung Jo not joining them there. When they see Ha Ni nearby, they wonder whether Seung Jo is dating her now. They are amazed that Ha Ni succeeded in getting Seung Jo to date her, with a none-so-subtle dig that it must be quite a feat for Seung Jo to agree to date such an ordinary girl. Seung Jo replies that he doesn’t subscribe to the having-a-girlfriend business. The guys laugh and concur that ice prince Seung Jo doesn’t jibe with loverboy Seung Jo. The friends end the conversation by asking Seung Jo whether he’s chosen a major, and is told he hasn’t yet. The Bye Bye Sea boys are back and perform for the reunion. Ha Ni is enjoying herself but naturally her eye-sight strays none too far from Seung Jo, who is sitting alone rather deep in thought. He leaves when her attention strays, and she notices only that he’s left his coat jacket behind. Ha Ni takes the bus home at night, chiding Seung Jo for not enjoying the opportunity to see old friends. She wonders if maybe he wasn’t feeling well? 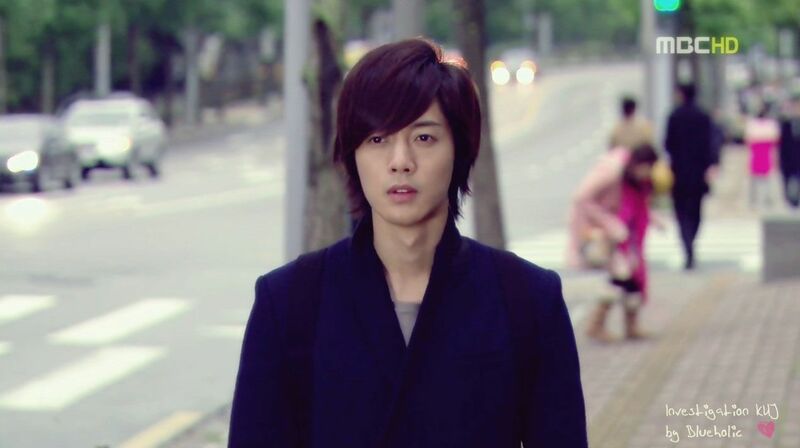 Seung Jo walks back to his apartment. Seung Jo thinks about the conversation he had with Ha Ni in episode 9 when Ha Ni urged him to become a doctor and used his vast intelligence to help people. Ha Ni comes up to Seung Jo to return his jacket. He takes the jacket without a glance and with a dismissive thank you. Ha Ni asks if she can sit down, and is given a whatever you want in reply. She asks if Seung Jo has something bothering him on his mind. She asks him to share with her, as talking about a problem cuts its stress in half, and sharing a happiness doubles it pleasure. Seung Jo gives a tiny smile, but doesn’t say anything. Ha Ni continues by saying that she tells her best friends everything, which lessens the burden, but her tendency to share too much is perhaps a problem in itself. Seung Jo suddenly stands up and states that he has decided to be a medicine major. He wants to become a doctor. He’s not sure whether medicine would suit him, but he does know that he feels this impetus to go down that path. Ha Ni looks at him incredulously, and is told not to tell anyone about this decision, especially not his parents. Ha Ni promises, she has no reason to announce this news to anyone. 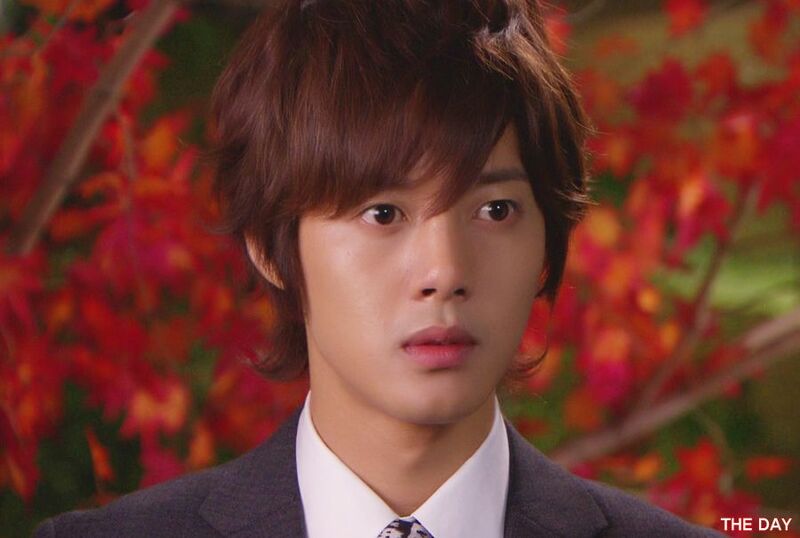 Seung Jo walks away, leaving a wistful Ha Ni staring at him with the realization that she is the only one who knows this major decision in Seung Jo’s life. At the tennis courts, tennis sunbae is making a grand speech to an audience of one, the other male tennis teammate who helped him practice for the Hye Ra kiss confession in an earlier episode. Tennis sunbae announces a party next week to commemorate the ten-year anniversary of the founding of the club. The other teammate wonders whether Hye Ra will come, and says that as long as they can get Seung Jo to show up, Hye Ra is sure to follow. Tennis sunbae goes to talk with Ha Ni, who is lurking around the medicine department for Seung Jo. Ha Ni is reluctant to invite Seung Jo to the tennis party, telling tennis sunbae its no good to keep using Seung Jo to lure Hye Ra to events. Tennis sunbae asks her to help one more time, and Seung Jo comes by. Ha Ni tells Seung Jo that their dads are getting physicals today, and wonders if everything is fine. She asks Seung Jo whether he wants to go home to see. Seung Jo wonders what presents those two brought back, and has to sarcastically explain to Ha Ni that he was referring to what diseases or illnesses they were diagnosed with. Seung Jo reviews his Dad’s physical results, and finds that his dad has a weak heart, signs of mental stress, and high cholesterol. He reminds his dad to pay special attention to his heart problems. Mom wonders why Seung Jo can read the chart so easily, since he was always a math and engineering whiz. Eun Jo says his genius older brother can become a doctor, he can do whatever he wants! Joon Gu makes a delicious meal for Ha Ni, who compliments the food and makes Joon Gu deliriously happy. Joon Gu says he wanted to serve his first official meal to Ha Ni. He keeps bringing more food specially prepared for Ha Ni, and he’s so earnest it kills me that she appreciates it but can never love him back. Ha Ni voiceovers that today she saw a new side to Joon Gu, whom she has always brushed aside. She mentally apologizes to him. Ha Ni grumbles at the way Hye Ra talks to her, but concedes that she has a point and her way of thinking is correct and commendable. Ha Ni and Seung Jo talk at their usual bench. Ha Ni points out that everyone is doing something with their life, even little Eun Jo worries about his future. Seung Jo finishes her thought that she doesn’t seem to have found a purpose for herself. Ha Ni replies that she has dream, too, you know. Seung Jo correctly points out that her dreams all involving doing something with him. Heh, you know her so well. He tells her to share those dreams with him, he’ll make it come true. Ha Ni’s dream is this: Seung Jo is a doctor at a small rural hospital, Ha Ni works with him as a nurse, the hospital is busy but not famous or well-funded, and Ha Ni works hard to assist Seung Jo. But Ha Ni concedes that her dreams are ever-changing, depending on what Seung Jo decides to do. For example, if he decides to be a golfer she’ll be his caddy, etc. 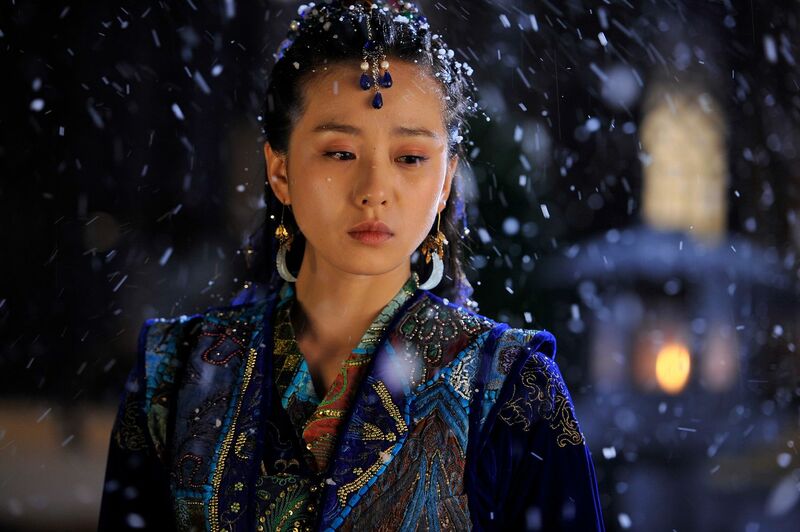 She realizes that her dreams are based on Seung Jo, and she has no individual existence outside of him. Rather than put her down in his usual way, for once Seung Jo is kinder than even I would have been. (I would have slapped her upside the head and dragged her to see a career counselor). Seung Jo tells Ha Ni that her dreams may be unrealistic but it’s her dream nonetheless. He tells her he put a lot of thought before deciding to pursue a career in medicine. She wonders if really her dreams are all that unrealistic. Seung Jo asks her to consider whether she CAN become a nurse if he becomes a doctor? 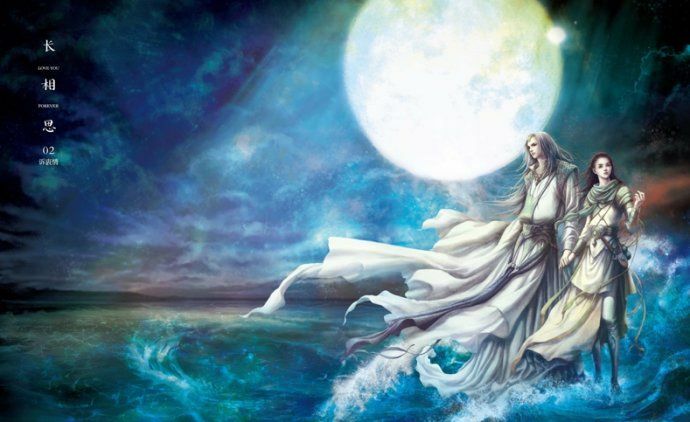 He leaves Ha Ni with a few pat on the backs, and parting thought that the more challenging a dream is, more exciting the pursuit. Seung Jo tells his dad that he wants to become a doctor and has no intention of succeeding his company. Dad collapses and needs to be rushed to a hospital, and is diagnosed with heart valve constriction and rest is mandated. Ha Ni wishes she can help, and Seung Jo realizes that he has to step up on behalf of his dad and may not be able to attend classes much in the near future. A sad interlude occurs between Hye Ra and tennis sunbae. When asked why she didn’t attend the anniversary party, Hye Ra replies that she never promised to go. Then she gives tennis sunbae her club dues. She sees him eating a hot dog, and tells him he should eat properly. She offers to treat him to lunch, and rather than jump at the offer, tennis sunbae declines by emphasizing how much he loves to eat hot dogs. Hye Ra leaves, and tennis sunbae’s sadness is palpable. 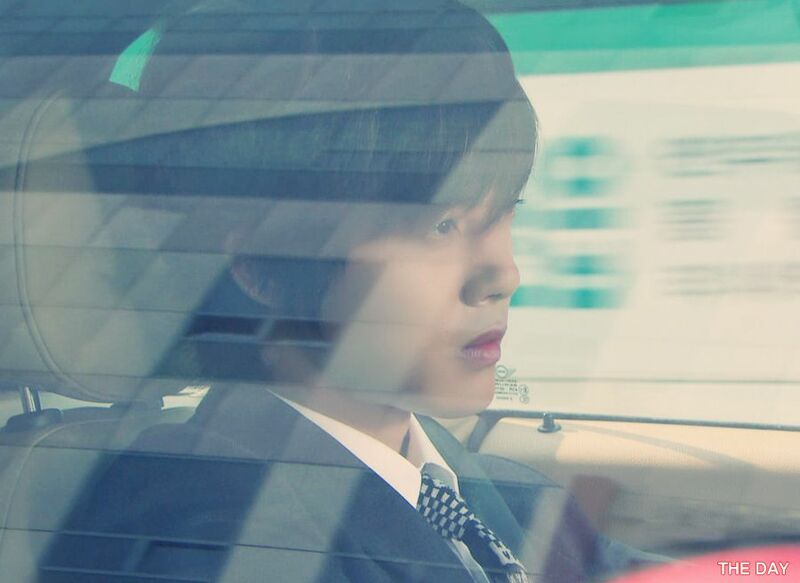 Because his dad is incapacitated, Seung Jo goes to the company to handle matters in his absence. The company produces video games, and Seung Jo is immediately inundated with mounds of paperwork and making decisions. When Seung Jo comes home, Ha Ni welcomes him home asking about work, whether he wants to shower first or eat, and moves to take his jacket and bag. Seung Jo asks what the heck she’s doing, and Eun Jo narrates that clearly she’s playacting the role of a wife. Ha Ni makes dinner for Seung Jo and Eun Jo as Mom is in the hospital. The food is pretty terrible, but Seung eats it and tell Eun Jo to eat as well and stop complaining. Ha Ni calls her dad to get cooking tips on the food she is preparing for Seung Jo and Eun Jo’s lunch boxes. Joon Gu overhears this conversation and is seething over the thought of Ha Ni preparing love lunches for Seung Jo. Hye Ra corners Ha Ni at school and drags out information from Ha Ni about Seung Jo’s whereabouts (working at the company) and the dad situation (sick in the hospital). Pardon the digression, but Hye Ra is sporting the exact same look as Ha Ni in this scene: from the headband, wavy hair, pink cardigan, et. al. It’s confirmation that since episode 11 Hye Ra has been trying to look more like Ha Ni than her usual glamour puss ways. Seung Jo sits down to eat the lunch prepared by Ha Ni when Joon Gu comes barreling in. 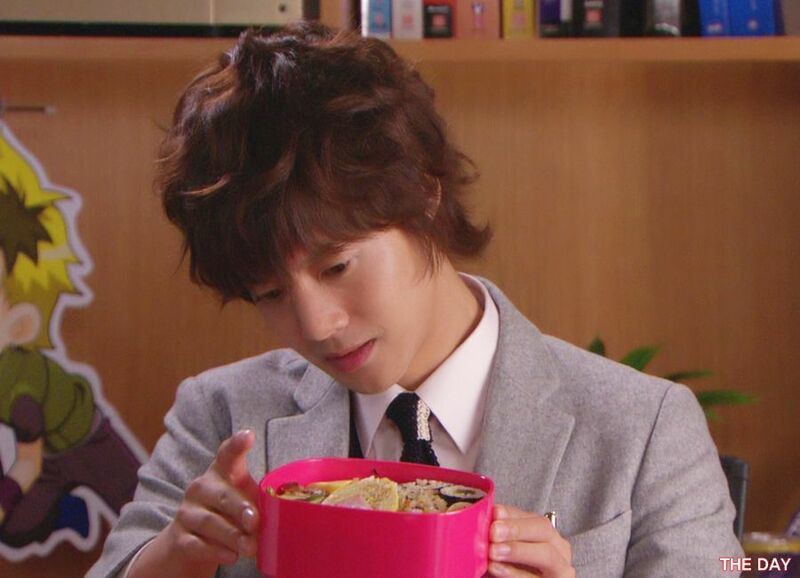 He stops Seung Jo from taking a bite of the inedible fare, and deposits the edible lunch he made in front of him. Joon Gu trades lunches with Seung Jo, and makes off with the Ha Ni one. He promises to come every day and trade lunches. Joon Gu eats the Ha Ni lunch, and he is both happy and distressed from having to eat such distasteful food. Ha Ni finds Seung Jo sitting by himself late at night, worrying about the family’s state of affairs now that his dad is sick. Seung Jo confesses that his dad’s condition is serious, and likely will need major heart surgery. He will have to take over the company for the foreseeable future. Ha Ni wonders what this means to his decision to pursue a career in medicine. Seung Jo says it was but a dream he only recently had. He wonders what would have been had he been given the opportunity to concretely pursue this dream. Ha Ni cautiously asks if the work at the company interests him, and Seung Jo flat out replies it holds zero interest for him. Ha Ni reminds him that he announced at their commencement that he would live a life that made himself happy. What happened to that promise? Seung Jo says that it makes his dad happy if he takes over the company, and that somewhat counts as a successful life. Ha Ni naturally hugs Seung Jo from behind, a back hug that is both sweet and sad. Ha Ni hears students discussing Seung Jo. Hye Ra comes over and confirms that Seung Jo has indeed taken a leave of absence from school. Hye Ra asks Ha Ni what she can do for Seung Jo under these circumstances – just cry and follow him around, or hug him and tell him everything will be all right. Seung Jo has taken over running the company. Every night he works late even at home. Ha Ni goes to work at the company as well, with Mom’s permission and support. The company’s main financial investor comes to meet with Seung Jo, Chairman Yoon. He is quite impressed with Seung Jo’s efforts thus far. 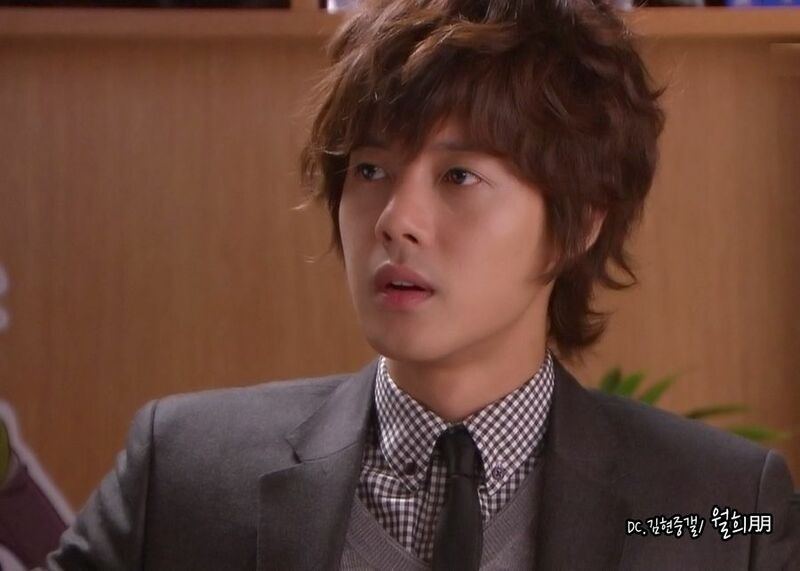 He asks whether Seung Jo has a girlfriend, which is when Ha Ni comes in to bring coffee. Ha Ni chimes in that Seung Jo is perfect at everything and sells him to Chairman Yoon. Oh girlfriend, you are so clueless. The company needs more funds to launch their next game. While Chairman Yoon is impressed with Seung Jo, it appears he wants some quid pro quo before investing more money. When Ha Ni comes home laden with groceries to prepare a nourishing meal for Seung Jo, he actually moves to help her with the bags. Methinks someone has a lot on his mind, but Ha Ni all around his subconscious. Seung Jo is forced to go to meet the granddaughter of the company’s financial backer, who turns out to be none other than Yoon Hye Ra. I should’ve known that girl will get her claws into Seung Jo any which way she can. Dum Dum Dum, welcome everyone to the end of the idyllic days and the impending arrival of decision day. As a bonus, in the credits, we see exactly what happened in the kiss in the resort scene at the end of episode 11. Ha Ni has nodded off on the bench, and Seung Jo walks by. He sits down next to her, and leans in to kiss her. Eun Jo witnesses this scene and jolts back in shock. The kiss is 100% real, and not a figment of Ha Ni’s imagination. You sly dog, Seung Jo. This was a comparatively intense episode, I felt a sense of foreboding the entire time. Of course I knew what was going to happen in this episode (and all future episodes), but nevertheless PK delivered the goods with respect to really pushing everyone to confront important issues. Nothing is resolved yet, and more complications are just arising, but at least even the dimmest member of the group, Ha Ni, has got a light bulb that went off in her brain. It’s not fun and games anymore. No more high school hijinx, no more college shenanigans. Careers are on the line, futures are to be decided. For a drama on the opposite spectrum of makjang, PK finally provided two angtsy concessions to K-drama tropes – Daddy Baek’s illness requiring Seung Jo’s career sacrifice, and the company’s financial future hinging on Seung Jo marrying Hye Ra. I really liked this episode is an understatement. It made me worried about everyone, from Ha Ni’s uncertain path in life, to Seung Jo making a big decision only to concede his dreams under realities harsh blow, to Joon Gu’s unwavering love and pursuit of Ha Ni. Yes, these issues have all been percolating in the drama in some form or another, but I feel like this episode finally ties together all the loose threads and creates one BIG plot moment. Seung Jo has become the sole decision-maker in the entire drama. His decision impacts everyone else’s decision. For someone so aloof and distant, he has become the central focus in determining which direction everyone else goes. Whether Ha Ni accepts Joon Gu, whether Hye Ra gives tennis sunbae a chance, whether Joon Gu runs into my arms to soothe his broken heart. And I don’t even think any decision Seung Jo makes is necessarily right or wrong. Take for instance his career decision. Seung Jo may think medicine is his calling, but I don’t actually see any passion from him for this profession (yet). He’s barely gotten started before he’s forced to stop, and I’m not sad about that. Seung Jo needs challenges in his life, and if his father’s company becomes uber-successful and he’s got his hands full running it, who’s to say he won’t grow to enjoy it? With respect to marrying Hye Ra, once again I don’t see a theoretical problem or ickiness with it. Yes, Ha Ni and Seung Jo are made for each other. But Hye Ra is like Seung Jo’s only other confidante besides Ha Ni, and who’s to say he won’t grow to love her if they do get married? It’s only because we know in our heart of hearts that Ha Ni is Seung Jo’s soulmate that we object to Hye Ra. But objectively speaking Seung Jo can do a whole lot worse. Now Seung Jo is on a path of no return. He can’t just putz around anywhere, with respect to his future or his love life. He has to make a decision soon, and that will influence whether Ha Ni stays with him or moves on. And Joon Gu has been waiting a heck of a long time for the right opportunity to declare his love for Ha Ni. Oh, Ha Ni knows he loves her, but he has never really said what is in his heart. It’s a killer confession, folks, so come prepared with tissues. Lee Tae Sung is going to kill that scene, mark my words. Last episode was so choppily edited and the plot devices were so random (Ki Tae, the resort, etc.) that I was so relieved to have the drama back on track this episode leading into its grand finale. We have four episodes left, and I have a gut feeling these four episodes are going to make Playful Kiss a drama worth re-watching and remembering. PK is shaping up not to be that grand love of your life, but more like that magical, wonderful summer fling you had when you were sixteen and spent the summer at the beach. There were moments of giddiness, heart-thumping tremors, and unforgettable moments under the stars. But it was never going to be forever, and you both knew it. So you cried when it was over, and years later you will look back fondly. The details may be hazy, but that fond affection you have will linger. Finally, this episode introduces Seung Jo of the neither-straight-nor-curly hair. It’s like wet curly-haired Seung Jo fresh from a dip in the lake or the bath, except the hair is dry. Don’t ask me how the stylist did it, except the boy is so freaking hot I’m quite flush inside just watching him be all angtsy onscreen. Your last paragraph was everything I have been thinking but didn’t quite know how to say! Can’t say anything else except you are right on the money with this recap once again. Just to let you know that I responded to your query about BB in the doppleganger post. Don’t know if you watch J-doramas, but BB is a wonderful little romantic drama. Thanks I just saw that. Yes I do watch J-doramas and wonderful little romantic dramas are right up my alley! Wasn’t quite sure where to put this but just wanted you to know I have watched the first 3 episodes of Buzzer Beat. I am already so hooked on it I will probably end up pulling an all nighter because I don’t think I will be able to find a stopping place. The characters sucked me in immediately and the story has been really interesting since the first few scenes! Thanks so much! hmm… when was the epic scene where she was crying from the window for him to not tell her to stay away from him. and then he ran back… was it in the 4-8? i remember it was kinda late in the drama… that was the highlight for me..
although for pi romantic drama… i fell for prodai hard altho i know many disliked it. thought it was too repetitive. maybe his hair had something to do with it.. I just love how you said that PK is like that magical, wonderful summer fling that you had when you were sixteen. The recap itself is very refreshing.. Mind you, I haven’t watched the episode yet and won’t be able to for a while, but your recaps just makes it all the more exciting. Even if I know what’s about to happen, the anticipation is still there. PK just gives me that feeling!! Giddyness, happiness, bubbliness, and from the looks of it, we’ll be in for a ride with the upcoming episodes. I can’t wait for the upcoming episodes that would make BSJ more human in ways that he hasn’t felt yet. By the way, this guy can really be icy but hoooottt as hell!!! 😉 oh my.. KHJ..arrgh!! And I’m just looking at pics! Haven’t seen the whole thing yet!! I just love PK and how it makes us feel!! its 4:18 am 08oct here is UAE..still wide awake coz just finished watching episode 12 in raw and just decided to drop by your blog to see it you already have recapped episode 12. luckily i did coz got to read your insights for this episode. got to clear out few things as well. (being a non-korean i cant really understand the language). episode 12 marks the a new turn for PK, as you mentioned its not all about cuteness, being fluffy and light hearted anymore. its brings now plots that will give us more reason to tune in and be in our toes. many scenes are sweet and heartwarming but my fave would be the back hug of hani to seung jo. got to agree that its sweet and sad. totally got the feeling out of it. also, the editing was back on track. thank goodness for that! i think they heard our prayers for better editing. most of the things that happened in this episode i already knew coz im a follower of the manga, anime and the TW version but what caught me surprise in this version was hae ra being the investor’s daughter. 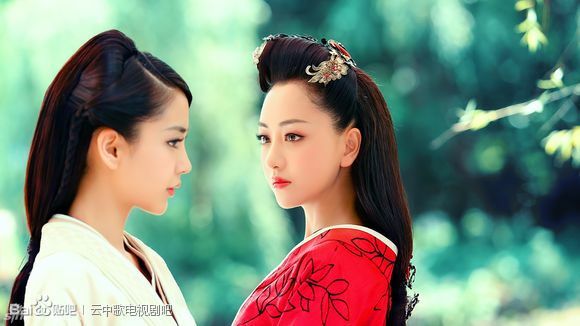 this twist makes the story more interesting, decision making would be more difficult and the catfight be more serious. now the spotlight in on seung jo, on how he would handle and make decisions not only base on what he think or feel is right but what could be good for all the people that surrounds him. now its his time to step up and be a man. we all know the OTP would have a happy ending but with 4 episodes to go im more interested on how they would execute this. how they would play out the decisions and hardship seung jo or hani would encounter to reach that happy ending. on a lighter note, loving the new style of seung jo! as oh hani would say, baek seung jo jjiang! with all that being said(typed), i think the beak seung jo in my dreams are already waiting for me. good night for now. thanks for your fast recap and unlimited comment space ockoala! Aww… So it’s Hye Ra for this version, eh? So that’s what she means when she asked Hani what she can do for Seung Jo. Well, not bad… I think this set up is better since they have no time left to introduce another new character to portray the role of that woman who almost snatched the male lead. thanks for the recap once again…three more episodes to go…it just made me remember the taiwanese version of the playful kiss with joe cheng and ariel lin…i love the episode wherein joe cheng and ariel lin had to kneel for hours just to have the forgiveness of the investor who was also the father of the girl who also likes joe cheng… i will surely miss kim hyun joong and the rest of the casts who are all good actors and actresses…weh, three more episodes and we’re all excited…thank you very much..
wow… i’m kept nodding my head at every turn in this post… and towards the end, i was nodding AND grinning… LOVED your recap. although i believe PK will be more than just a summer fling to me… and yes, i’m IN LOVE. or infatuated. because when you are conscious of all of its numerous shortcomings and still can’t help being crazy about it, it’s pretty much love. sigh. the pleasant feelings that i get from watching PK are really quite admirable considering that it’s not about anything earth-shattering. but then again, PK brings me back to innocence and simplicity and when you’re at that stage, all the little, or rather common things ARE earth-shattering. i have got to admit, that ending gave me a good shock… in fact, i’m STILL shocked… the show got me there with that twist… just when i thought i could anticipate every moment… at first, i didn’t quite like it, just because i was still hanging on to the fact that i wanted haera and hani bonding over their common rivalry with christine but now, i’ve come to terms with the change. i wouldn’t say that i welcome it yet but i’m looking forward to what interesting things it can bring. plus, i have a feeling haera might redeem herself in the end. hopefully. and yeah, objectively, bsj can do much worse than haera… she’s actually not that bad. but of course, we know that hani is RIGHT for seungjo… i don’t want to spoil the diary entries for those who didn’t read them but it is especially explained WHY hani is so right for seungjo, as well as why there’s a good reason he wants to be a doctor. but even without the diaries, we can see that seungjo totally has it BAD. i mean, he’s much kinder (when he’s being kind, that is) and even forcing eunjo to eat… aw. as for hani’s dreams… that’s actually one of the moments in Itazura na kiss/iswak that left me a deep impression. i’m still pondering over it in fact… is it so wrong to have a dream about somebody, as opposed to a career? it’s different, but is it wrong? of course, my upbringing and instinct wants me to answer that YES, it’s wrong. you should have a goal in life, if anything, to better yourself and develop as a person, and by extension, in your career, or education, or whatever… but still, even after all these years, i’m bothered to say with 100% conviction that it’s wrong to base your dreams and happiness on a person. it’s something i can’t do because i’m afraid to entrust my entire happiness on one person but somehow, i admire hani for doing that. and yes, i noticed the lost of curls as well… and he’s not my type but damn me, he’s HOT… i was watching PK live with other PKers on a chatroom and all we were talking about was about eating KHJ. XD. as for joongu… i’m already hearbroken thinking about the conclusion of his devotion to hani. wouldn’t it be simple if hani loved joongu and seungjo, haera? sigh. sorry, my ramblings went out of hand once again. me again… seungjo in a suit and tie…. and him loosening the tie up… SQUEE. lol… hello. hope you have a great day at work… it’s currently 4 AM and i CAN’T sleep.. sigh. looks like it’ll take a while to readjust my sleeping hours. thx alot………really lyk tis show ttm! thx…….. I am not surprised they combined Hyera and the fiancee into one person due to time constraints, but it makes me a little sad – I liked that Haera in the twdrama was never a serious threat etc. Oh well. Give me a rain kiss and we are even, drama. one hot kiss that would make all the fan girls of KHJ sharpen their pitch forks ready to mug poor jung so min. I had to control myself from audibly *squeeing* when I saw the real kiss from last episode at the end. As for this episode, loved it. Again there was that change in tone, which turns out, also changes BSJ’s hair. Anytime the mom cries, I’m heartbroken. Joon Gu is ever adorable. Please pass him my way once you’re done consoling him. I’m going to have to get myself mentally prepared for the next four episodes. There will be lots of crying and reminiscing about my first love which was similar to this story… without the happy ending. waaahhhh… this is the first time that i felt like i don’t want to watch that part of PK~! WAAAHhh this will totally crack my mind out~! I really don’t like hye ra~! I don’t think the confession will be at episode 13 or 14 yet~! hmp~! my mind is dying for next week..
pleeeaaasee *raining confession* come now~~! you started with your title!! it’s great! and although a lot happens in this episode, i happen to LIKE what i think is one of the more interesting comparative changes – that Hyera’s character got merged into the chaebol’s daughter (a development from the Taiwanese drama, that wasn’t present in the Japanese drama, thus making this third wheel effectively different again. I preferred the lack thereof in the Japanese version, as I think that Hani’s character has got it tough enough, without needing a YET ANOTHER challenger for Seungjo’s affections but at least, this way it doesn’t feel as slapdash as the Taiwanese one). 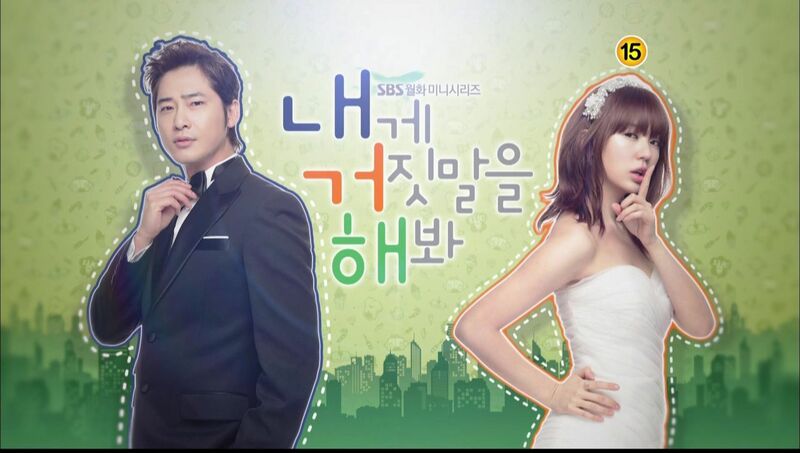 and as for the whole Hani vs Hyera deal (ordeal)… I think that we all know a Hani in our lives or is one or ourselves. I’m more Hyera-ish, which is why I think that if the guy I like breaks up with me, I can move on (which I did…with great difficulty. I look back on that period of my life with deep embarassment). But if Seungjo broke up with her, Hani…. won’t really be the same child who believes in unicorns and fairy tales. So Seungjo remember the Hippocractic oath won’t you – First, do no harm. But what I really hope to see is the drama showing us that Seungjo does see that if he gets together with Hyera, the circumstances will turn out for the better – Hyera and Joongu will be happy and his family’s company will be saved but no matter all these good things, it doesn’t matter, because he wouldn’t be happy. at all. and if he weren’t happy, then his parents wouldn’t be happy and all the people who loves him wouldn’t be happy. Which is really the core of this story – Hani and Seungjo, and all the love that they inspire in the people around them. I totally agree with Ockoala’s analysis that these last 4 episodes are the ones that will make this drama worth rewatching and remembering, whenever I rewatch this story, its always the last few epsiodes that I watch anyways. The early episodes are fun, and I think that the K-version has succeeded in making some of the early episodes worth re-watching as well, esp episode 7 and 8, but if they don’t make a killing here… oh what a waste…. ps. hi to dangermousie! i totally lurk at your LJ, though I use a different nick there – ejekyll…..
tanx for your beautiful recap.please put more photo. anywya loved episode 12 , it was really good with all the intense moments it had , but what I loved more is the interraction between OHN and BSJ , I so loved the heart to heart talks they had ( at least 2 times , or is it more ?) , for me the talks are the sign of both of them are growing up and being mature ( since it’s not shown by their physicals . Ockoala , when BSJ was talking with OHN in college about her dreams , did he really tellthat she can dream and he will realize her dremas , did he really say that , awwww BSJ are you really so in love with OHN to let make urself realize all her dremas , that’s really cute . Hae rae being the chairman’s grand-daughter didn’t see that coming but it’s ok , now she will know once and for all that BSJ loves only his OHN and she won’t be able to make him happy becoz she simply can’t give the 10% of things he lacks and that OHN has . so eagely waiting for next week’s epi , BSJ were smiling at the begining of the preview ( it must be OHN the reason ) , then I think it was him who remembered how he kissed OHN @ the resort . agree with u Ockoala , the last 4 episodes are going to be unforgettable and I’m so eagerly waiting for them. Re the preview of ep 13, I think Seung Jo was having breakfast and thinking of/happily remembering what happened in the forest. Is it only now that he is becoming aware of his feelings for Hani? I thought he knew about it since ep 8 but he just did not want to give in to his feelings. . . I can´t wait for ep 13. Don´t tell me about the Taiwanese version! yes!! glad i found this recap! didn’t know you had a separate blog outside of thundie’s. will be following for the last eps for sure – thanks! as always loooooooooooooooooooove your recap. Thanks ockoala. I always always love reading your recap. Such a lightning fast recap yet so full of insights and analysis. I love this episode especially because I saw Seung Jo’s character seems to grow to be more mature. He’s no longer thinking only about himself, but now he thinks more about others, and even willing to sacrifice his dream for others. And yeah, his hair in the last couple of scenes is a total HOTNESS. Especially in the scene where he’s helping Ha Ni bringing in the groceries, he’s so delicious I just want to bite him. But I saw a kind of guilty and sorry expression though in his face.. maybe coz he knows about the arranged marriage and he knows he’s going to crush Ha Ni’s heart again. About his dream to be a doctor, I think he’s quite passionate about it. I’m assuming he already started studying medicine (maybe in the library since he goes there a lot) and he’s loving it. I think there’re some proofs about that, like when he can read and analyze his dad’s health report in details, and also when he knows well about the method of heart surgery when talking with the doctors. I don’t think it’s just because he’s a genius that he knows so much. I’m quite sure he already started studying and we also saw him meeting a professor in the medical department even though it’s not time yet to choose his major. I think he is passionate and very determined about it. I really really hope the last 4 episodes of PK will be daebak! Can’t believe it’s almost over. This drama is so heartwarming and never fails to make me smile over and over again. I need more than just 16 episodes.. I keep wondering why Seung Jo is often nasty to HaNi yet it’s obvious that he cares for her. Take for example at the reunion when he was telling his old friends that he wasn’t dating HaNi. HaNi got up and left and he followed her with his gaze. He knew that all evening she would always look to where he was so promptly left his coat because she would then find a way to meet up with him. He wanted to tell her alone that he had decided on his major. Is everyone ready for an emotional roller coaster ride in episode 13? It’s going to be heart-wrenching because BSJ is going to be real mean to OHN by saying some hurtful things that make her feel great pain. Hope it will not be as bad as the episode which leads to OHN leaving the house. Most times I wonder what Oh Hani really thinks she’ll accomplish by following him around like this. What I mean is.. she wants him to love her back, right? But Baek Seung Jo has always paid her that special attention he’s never paid anyone else.. yet to her, the possibility of him liking her back is non-existent. Then, if she keeps insisting that it’s never gonna happen, what does she think she’s trying to accomplish? I think it must be frustrating for Seung Jo as well that Hani just can’t seem to notice how he actually feels. Come on, would a guy who doesn’t have feelings for you eat the inedible food you cooked, or leave his work to go down the stairs and help carry your grocery, or let you hug him for long long minutes while he’s feeling all distressed? When she hands him that coat, it’s as if he purposely left it at the reunion place knowing that Hani will notice and come after him to return it. I like Itazura na Kiss anime but it’s after I watched the Korean drama version that I really came to understand why people love this story so much.. choppy editing notwithstanding. It also made me accept that the romance between someone like Hani and someone like Seung Jo can exist, that they can love each other in their own way, and they will be happy when they marry. It’s a nice notion. It’s me again.. I’ve watched this episode for about 5 times already and i’m actually watching it as i’m typing this.. I love this episode for the drama it brings and the smell of impending heartbreak.. and of course the sweet moments between Seung Jo and Ha Ni.. but something that really stands out for me was the part when Joon Gu took the packed lunch that Ha Ni made for Seung Jo.. that scene and when he was trying to eat it was really priceless!!!! I was really laughing my head off.. hahahaha!! that’s what love can do!!! That leaf was from the first episode when hani had her mythical daydream in the fairytale land with a white unicorn that morphed into BSJ. she awoke with the leaf, she kept it as a reminder of her dream.